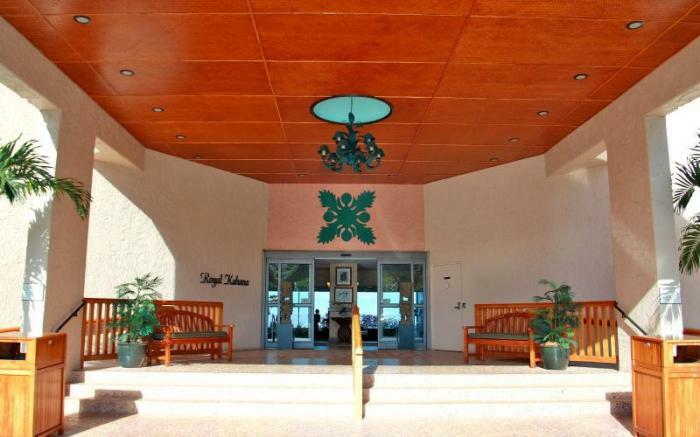 A feeling of true royalty will surely overcome you during a stay at the Royal Kahana. This ocean front property offers air conditioned comfort, sweeping ocean views and an unbeatable location. The spacious studio, one and two bedroom condos are fully furnished with tropical decor and are conveniently nestled between the award winning restaurants, golf courses and shopping of both The Kapalua Resort and Kaanapali areas. With its unique floor plan you can enjoy watching the spectacular Maui sunsets from the comfort of your bedroom as well as from your own private lanai. These West Maui condo rentals convey a true Hawaiian resort feel from the moment you step into the expansive oceanfront lobby, to the alluring tiki torch gardens. Swim in the warm waters, watch the whales frolic offshore during winter, BBQ and entertain at the poolside cabana, play tennis at the lighted courts, and work out at the "guests only" fitness center, or walk to the Kahana Gateway Center to experience wonderful restaurants and shops nearby. The possibilities are endless at the Royal Kahana.